Whenever you get stuck in your monologue, open your mind to dialogue. It’s one of the most important tools in journal writing, but one I always forget to use: Dialogue. It’s a tool that’s most helpful when one is stumped, or when you are dogged by a persistent issue in your life. But you can use it anytime and for anything. 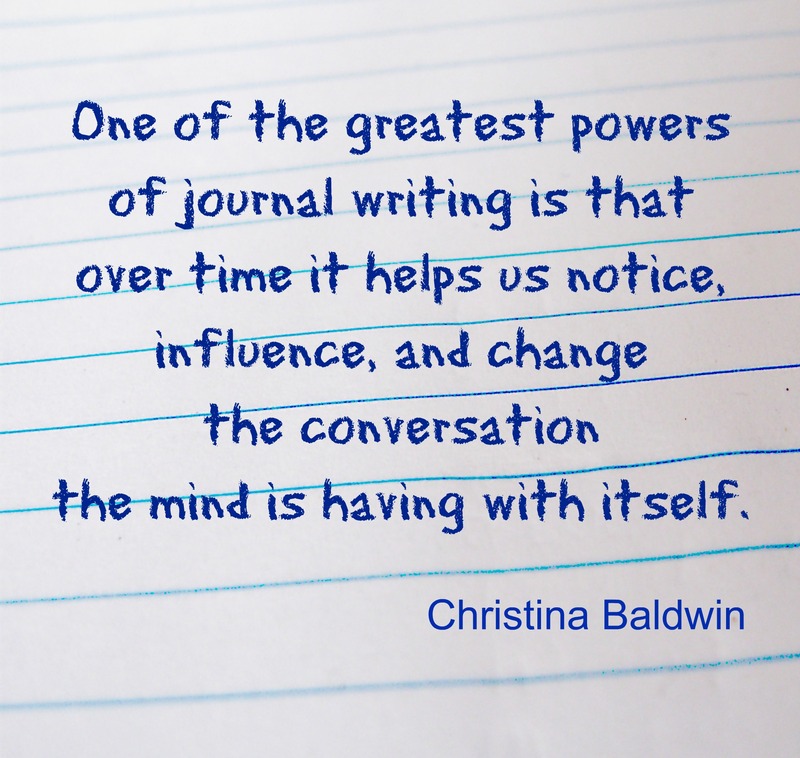 Christina Baldwin in her book Life’s Companion, Journal Writing as a Spiritual Quest, says that “Dialogue is the most versatile tool of journal writing.” According to Baldwin, when we write in monologue, we may just go around the issue. “Dialogue gets to the heart of the matter,” says Baldwin. To use dialogue in journal writing, you have to ask questions – these will spur the conversation. When we use dialogue in journal writing, one part of the brain asks the questions and a different or different parts of the brain will chime in with the answers. 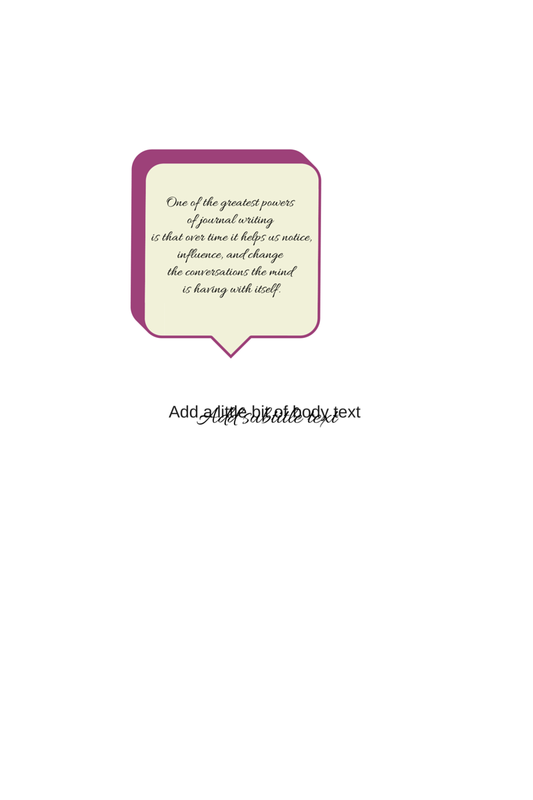 It never fails to amaze me how this journal writing tool seems to open the spotlight as it were, and shed light on any issue I present in my journal. First, ask the question. Assign a name or letter to the “inquirer.” You could label it “Me,” or you can use any name or letter from the alphabet. Do the same thing for the “responders.” There could be only one responder or several – you will know when you begin the dialogue. Begin by writing about the issue, then you may continue by exploring how it is affecting you, what you feel in your body, and then ask the first question. It’s surprising how the brain will come up with the answers – ones that you would not be able to arrive at if you were to write in monologue. Keep asking questions and write down the answers that surface. It may be a quick exchange or you may have to wait a few seconds for the answer. It will come, don’t worry, just wait in silence. Well said, Nihar, I agree with you completely. Love what you wrote…”Static is not a good state to be in…” Thanks for your constant visits and taking the time to comment. Thanks for the kind words, Nihar! With me, sometimes I get conscious and focus on the dialogue! And I end up writing a whole article about two people having a conversation. I realized that what I need to learn is to capture group conversations and group dynamics in a note while still not losing the essence of the story. That’s a real challenge to me. I think it’s great that you find another story within a dialogue! Perhaps it’s a good thing you can build upon and then find a way to go back to the essence of the story? Here’s a great blog post from ‘Writing On The Pages of Life’ about writing dialogue in journal writing…. What a neat trick to problem solve the issues your brain presents. I like this. Glad you liked it, Susanne!